Product #16637 | SKU 301558 | 0.0 (no ratings yet) Thanks for your rating! 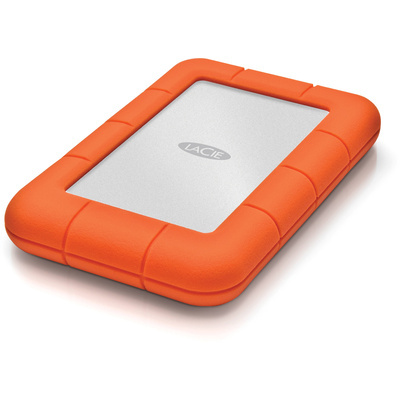 The LaCie Rugged Mini Portable Hard Drive provides 1TB of space for storing your data. In addition, the drive, as its name suggests, has a hard-boiled design that can stand up to the hazards of daily living. In fact, this drive can take a fall from up to 47.2" (non-operating mode) without harm to the drive or your information. The Rugged Mini is also pressure-resistant and rain-resistant as well. However, the familiar orange trim probably already told you that.